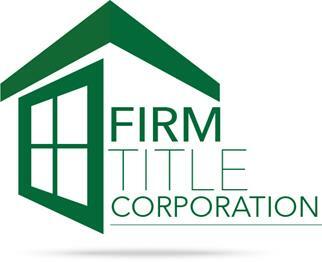 Firm Title Corporation is our exclusive title partner and Michelle Shyne will be your Title Manager from contract to closing! You can order new title policies for Buyers and Sellers directly from this page. Michelle will follow up with you to confirm receipt and to gather more information about the transaction. Click the Firm Title Logo above to get a Title Quote or Seller’s Net Sheet. To order title, fill out the intake form below and upload a copy of the fully executed contract. *	Order Title or Hold Escrow Only? Escrow is for SALES only. No Rentals. *	If holding escrow only, does your client need our attorney? If other side is paying for title, does your client want our attorney Craig Packer to review title policy and represent them at closing? The closing fee is usually $750. Premier Brokers International strongly recommends attorney representation. Allowed file extensions are PDF. Max file size is 25 MB. Please upload a fully executed copy of the contract. PDF format only please.